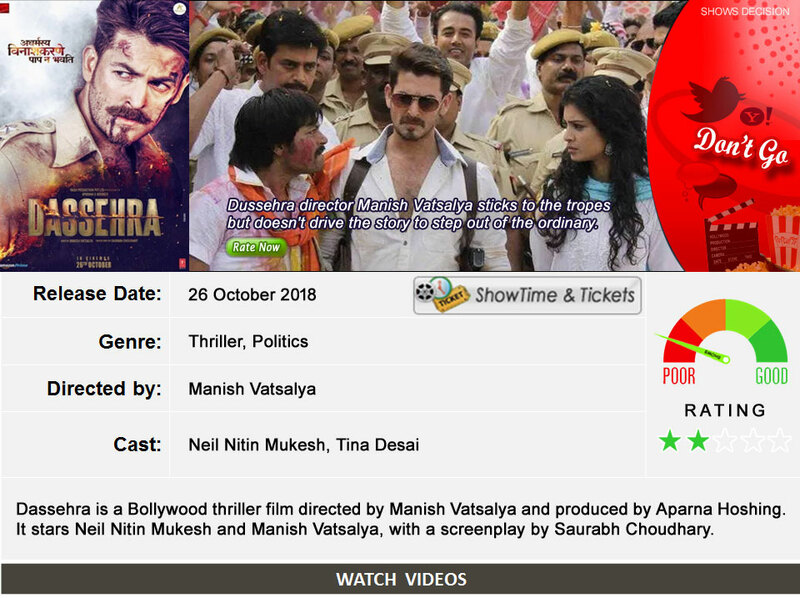 Dassehra is a Bollywood thriller film directed by Manish Vatsalya and produced by Aparna Hoshing. It stars Neil Nitin Mukesh and Manish Vatsalya, with a screenplay by Saurabh Choudhary. Shine like a star without breaking your bank!